BETTER THAN SOLID-Just as much support without the gear shock! If you are looking for a rear diff kit for an IS300 you will find that here. SuperPro and FIGS have teamed up to develop a superior bushing to control the differential in a wide range of Lexus and Toyota vehicles. The O.E rubber bushing suffers from excessive movement that leads to angular changes in the driveline and power loss. The SuperPro/ FIGS bushings keep the differential properly aligned to prevent this issue and deliver the power to the ground! 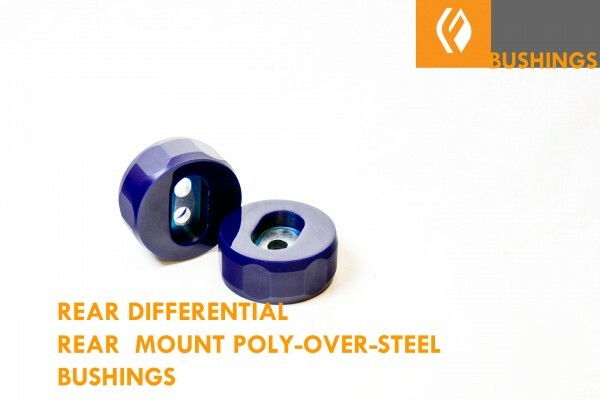 Currently RC, RC-F, GS-F,SC, LS430, 2/3IS , 2/3/4GS bushings (face-mount) have several options. For High HP applications we suggest the 'SS Spacers and ext hardware' option, this adapter kit consists of 3- spacers and 3- extended bolts. This sets the support of the bushing in the center of the subframe sheetmetal. 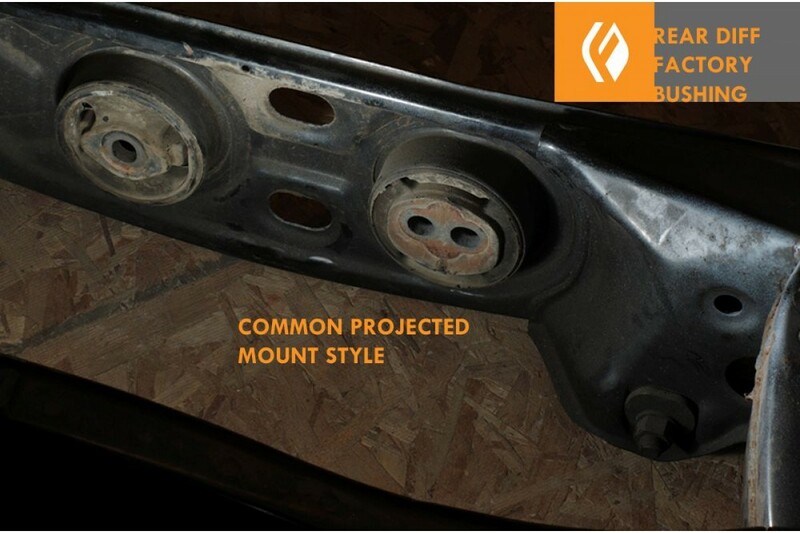 The complete pinion mount replacement is recommended for full pinion mount. We now only sell the rear mounts with the pinion mount supplemental or complete replacement when ordering these bushings to complete the system. The complete replacement pinion mount design is easy to install and is a single 90 durometer. We suggest this option for customers with high HP or that may be taking their car to a shop to install, as they are very straight forward to install. For MK IV Supra and SC with manual transmissions, we will only sell the rear diff mount as an upgraded spacer/center-mount kit or in our other complete kit. 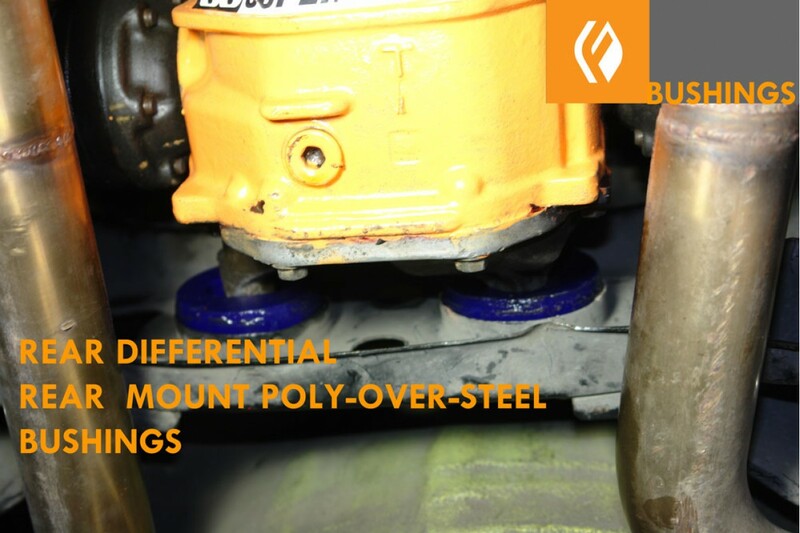 Steel Plate center provides additional support to a bonded polyurethane outer bushing. Castellated outer bushing shape to provide voiding and eliminate unwanted NVH. No outer shell for ease of fitment, can press in literally by hand after greased. We feel upgraded pinion mounts are required when upgrading these bushings, therefore we will only sell them paired with at least the supplemental bushings. This is because we have had many issues when customers upgrade the rear mounts alone. There is too much torque translated to the rear mounts alone when the factory rubber bushings are used, this can cause driveshaft bind and bushing destruction. 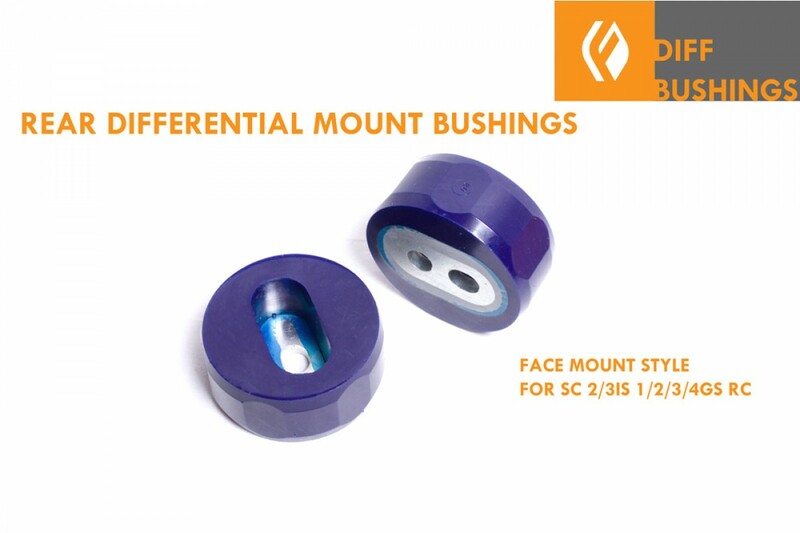 We have therefore added this as a mandatory option to include supplemental bushings on face-mount vehicles. Test video and DIY soon to come. Combine with our front pinion mount for complete stability. This exhaust is currently out of stock. Please check out our option from PPE.The BORLA® sound of po..
BORLA Type-S / Type-S II Cat-Back & Rear Section exhaust systems feature patented straight-thro..